The TRUTH under FIRE: "THE FOUR HORSEMEN of NEW ATHEISM"
Introduction: Who are they, what are they up to and what is the Christian response? Romans 1:19-20 declares plainly that all men do know God exists because God has clearly revealed that knowledge to them through the evidence of creation. 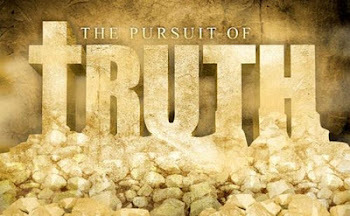 Those that deny God are doing so out of the rebellion of a darkened heart (Romans 1:21). Rather than the intellectual the self-described atheist imagines himself to be, God has pronounced, “The fool says in his heart ‘there is no god’” (Psalm 14:1, 53:1). Sam Harris is an American author, philosopher, public intellectual, and neuroscientist, as well as the co-founder and CEO of Project Reason. Harris believes that a valid alternative to moral nihilism exists, and that science provides the answers that human beings desire where issues of morality are concerned. Daniel Dennett is an American philosopher, writer and cognitive scientist whose research centers on the philosophy of mind, philosophy of science and philosophy of biology, particularly as those fields relate to evolutionary biology and cognitive science. 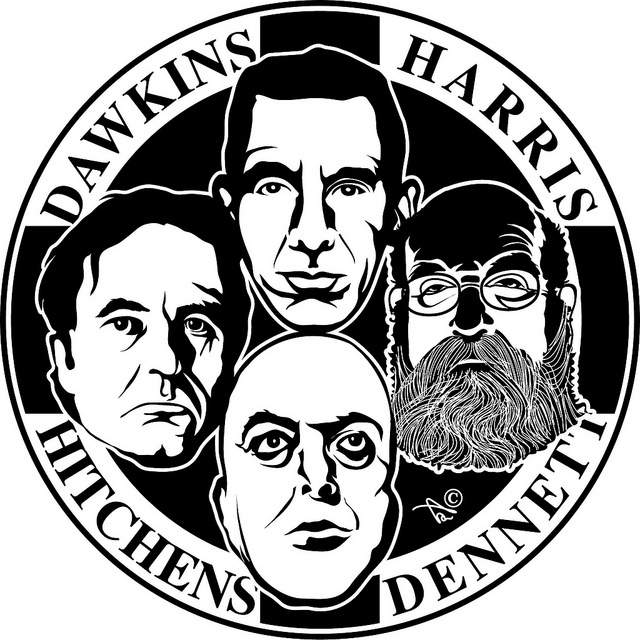 Dennett is referred to as one of the "Four Horsemen of New Atheism", along with Richard Dawkins, Sam Harris, and the late Christopher Hitchens. 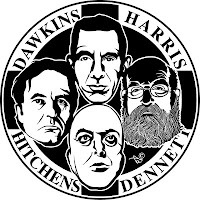 These “Four Horseman” are the worlds leading spokesman for modern day atheism, though there are many more especially in our colleges and universities. They are militantly aggressive and demanding that "religion should not simply be tolerated but should be countered, criticized, and exposed by rational argument wherever its influence arises." Hooper, Simon. "The rise of the New Atheists". Atheists have always believed that religion was harmful and therefore had no place in public discourse, though one was free to believe what they wanted to privately, God and religion should never be a part of politics. New Atheism, on the other hand, is a little different. In other words, New Atheists are militantly proactive in seeking to abolish any belief in God in both public discourse and private belief. The reality of it is that “New Atheists” are really only new in attitude, not in argument . . . even their arguments tend to be ill-informed. To them, discussion and cordial debates are off the table only to be replaced by outrageous attacks, implausible accusations, political agenda and an antichrist spirit of a new age. They are aggressive, outspoken and according to Richard Dawkins should publicly “mock religion with contempt”. Their goals are to rid the world of all religion, but they primarily target Christianity. It is the age-old war against God which places blame for all the ills of the world, including war and injustice upon Christianity. A few quotes by these “Four Horsemen” will provide a better understanding of what the “New Atheists” are all about. The ‘New Atheist’ gurus are specifically targeting young people through publishing, speaking tours and media blitzes. They are the gods of secular universities. New Atheist professors have made it their mission to indoctrinate your children with a Godless worldview in favor of illogical relative reasoning. Watch: Richard Dawkins Addressing Crowd of Young People in Washington, D.C.
Ken Ham, President of Answers in Genesis, recently posted the following video segment of Arizona State University Professor, Lawrence Krauss, being interviewed on the David Packman show. 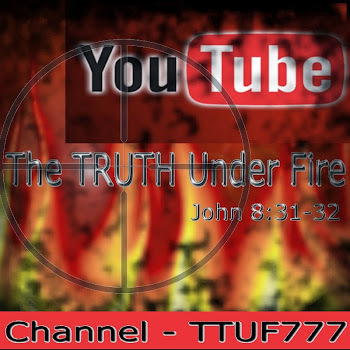 Ken urges ALL CHRISTIANS to watch this video in order to see how the term “child abuse” is used over and over again in regard to Christians who teach Christianity and Creation to their children. Krause likens parents who raise the children in the Christian faith and teach them Biblical Creation as Taliban, and what he refers to as, ‘an extreme form of child abuse!’ Krauss further politicizes his view by advocating for “controls” to be put in place so as to not allow Christians to have any say on how their kids are educated. These men go well beyond the bounds of not believing in any religion….they are on a mission to steal the hearts and minds of your kids, even demanding control over their education in order to eradicate faith in God from the planet. I have had my confrontations with a few of these characters….they spew their toxic poison with such vulgarity and hatred, that it is sometimes difficult to remain calm and gracious while responding to their ranting questions about God, the Bible, Science and Reason. Richard Dawkins is the author of the book, God Delusion. After reading the book, David Robertson, a pastor and author, felt compelled to counter in an open letter with regards to the shocking statements within the text. After writing Dawkins an open letter and posting it on his church’s website, to everyone’s amazement, Dawkin’s posted the open letter on his own website. This inspired Robertson to keep writing in what has been published as The Dawkin’s Letters. Robertson brings up questions on many of the issues in Dawkins’ book, as well as addresses some of the “atheist myths” or arguments. The Dawkin’s Letters engage both Christians and non-Christians alike, and are a wonderful aid for Christians in defending their faith. A brief response to the “Four Horsemen” of “New Atheism”, there are four ways in which God has revealed Himself to man. “The heavens declare the glory of God; and the firmament sheweth his handywork. Day unto day uttereth speech, and night unto night sheweth knowledge. There is no speech nor language, where their voice is not heard. Their line is gone out through all the earth, and their words to the end of the world. In them hath he set a tabernacle for the sun..."
" For the invisible things of him from the creation of the world are clearly seen, being understood by the things that are made, even his eternal power and Godhead; so that they are without excuse." " For when the Gentiles, which have not the law, do by nature the things contained in the law, these, having not the law, are a law unto themselves: Which shew the work of the law written in their hearts, their conscience also bearing witness, and their thoughts the mean while accusing or else excusing one another..."
The Bible teaches that Jesus was God incarnate (e.g., John 1:1, 5:18, 8:58).
" God, who at sundry times and in divers manners spake in time past unto the fathers by the prophets, Hath in these last days spoken unto us by [What?] his Son, whom he hath appointed heir of all things, by whom also he made the worlds..."
" Jesus saith unto him, Have I been so long time with you, and yet hast thou not known me, Philip? he that hath seen me hath seen the Father; and how sayest thou then, Show us the Father?" John said, "But these are written, that ye might believe that Jesus is the Christ, the Son of God; and that believing ye might have life through his name." Although there is overwhelming evidence for God’s existence, there will always be those who deny Him. To those professing to be atheists…there is no such thing! For God has declared that He has so revealed himself to all of mankind that there will be NO excuse for denying Him. It is upon this evidence that the Christian can firmly stand, and to be able to provide intelligent answers to skeptics. More on debating atheism coming in Part 2 of this series. the page layout of your blog? Its very well written; I love what ouve got to say. Buut maybe you could a little more in the way of content sso people could connect with it better.